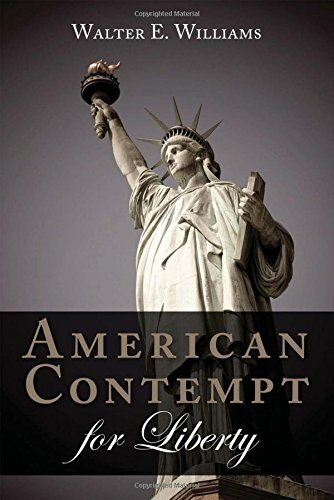 American Contempt for ... Walter E. Williams Best Price: $10.35 Buy New $13.41 (as of 02:20 EDT - Details) Unbeknownst to the protesters, the expression “Sí, se puede” was a saying of Cesar Chavez’s. When Chavez, the founder of the United Farm Workers union, used the expression “Yes, we can,” he meant something entirely different: “Yes, we can” seal the borders. He hated illegal immigration. Chavez explained, “As long as we have a poor country bordering California, it’s going to be very difficult to win strikes.” Why? Farmers are willing to hire low-wage immigrants here illegally. Chavez had allies in his protest against the hiring of undocumented workers and lax enforcement of immigration laws. Included in one of his protest marches were Democratic Sen. Walter Mondale and a longtime Martin Luther King Jr. aide, the Rev. Ralph Abernathy.